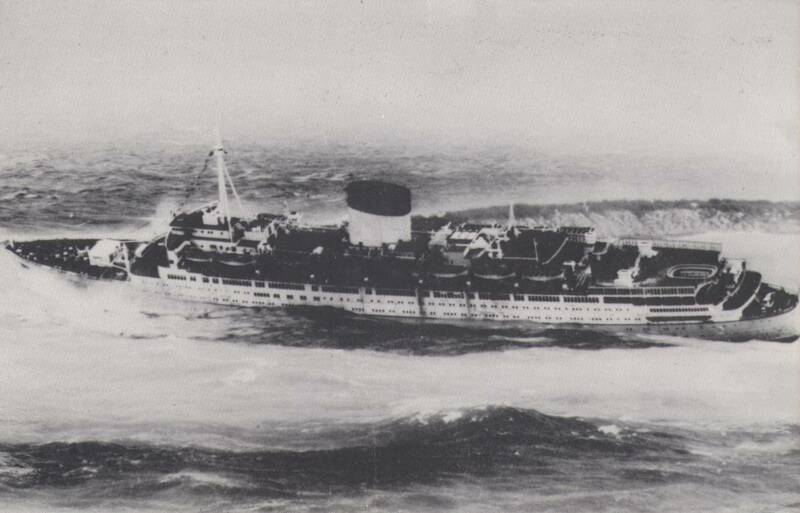 A 1954 photograph of Caronia on her Japan South Seas cruise, taken off Guadalcanal Canal. 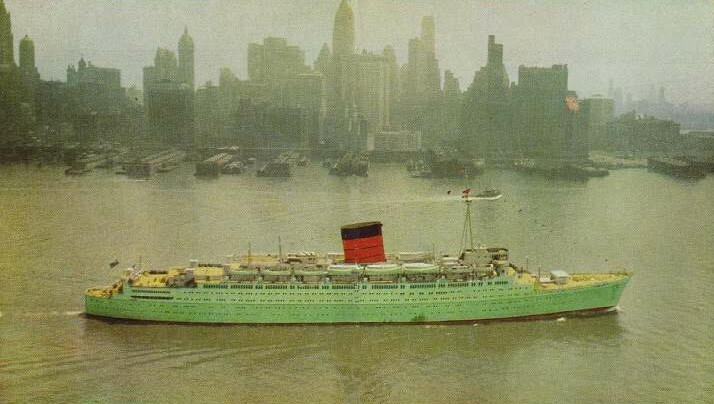 Caronia entering New York at the end of her maiden voyage in January 1949, under the command of Captain Donald Sorrell, one of Cunard’s most popular masters. 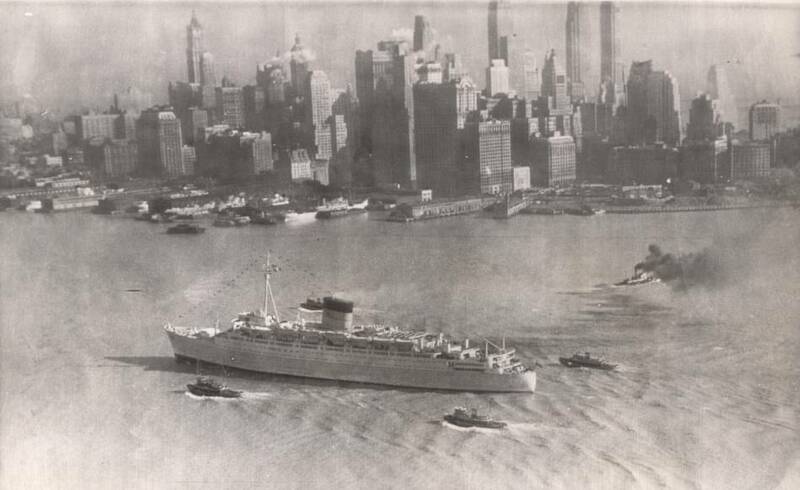 She has just passed the lower end of Manhattan and is proceeding up river to the Cunard piers. 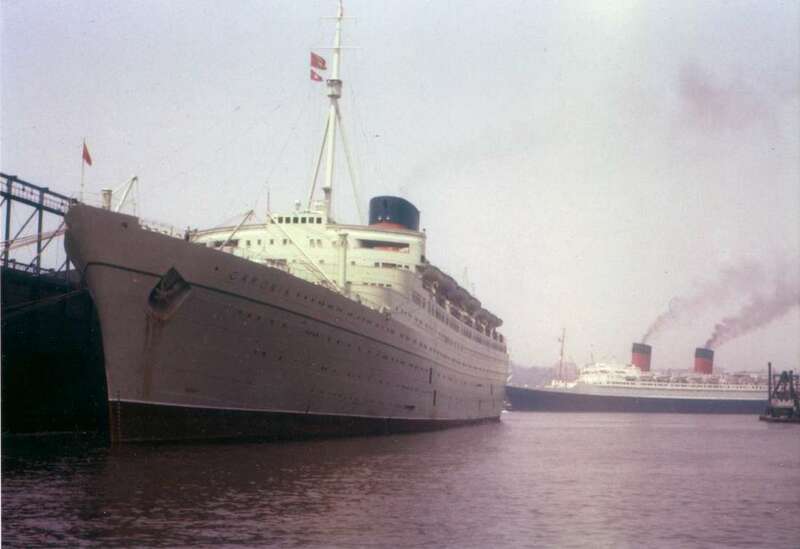 Caronia with the Ile de France backing out of the adjacent pier in New York on June 30th 1956. 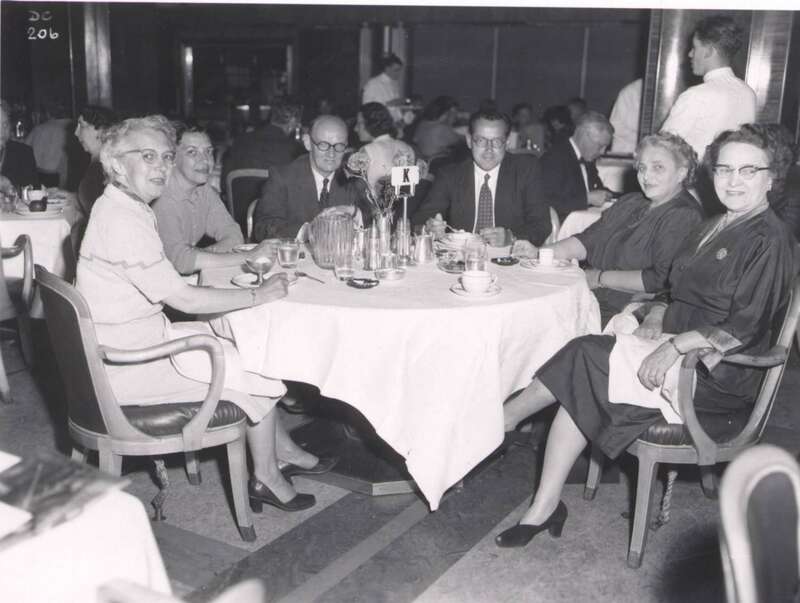 On her next voyage from New York, the Ile de France would be involved in one of the most famous rescues at sea when the Italian liner Andrea Doria sank after being struck by the Swedish liner Stockholm. 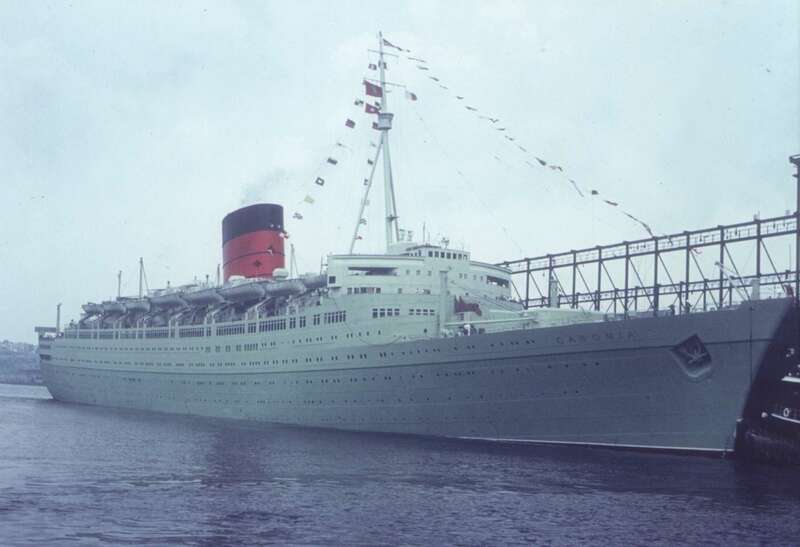 Note that Caronia is flying the double Cunard-White Star house flags from her famous tripod mast. An exceptionally rare Cunard-White Star press image of Caronia making her first and last passage down the Clyde to her builder’s trials. 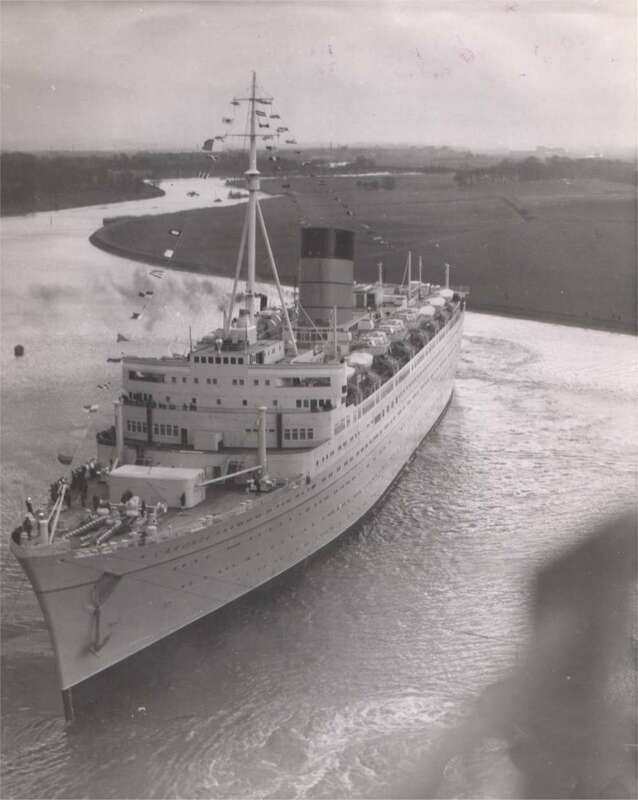 All ships built at John Brown’s yard had to undertake this journey, and some larger liners like the Queen Mary became temporarily grounded as they passed down river. A superb broadside view as she passed lower Manhattan. 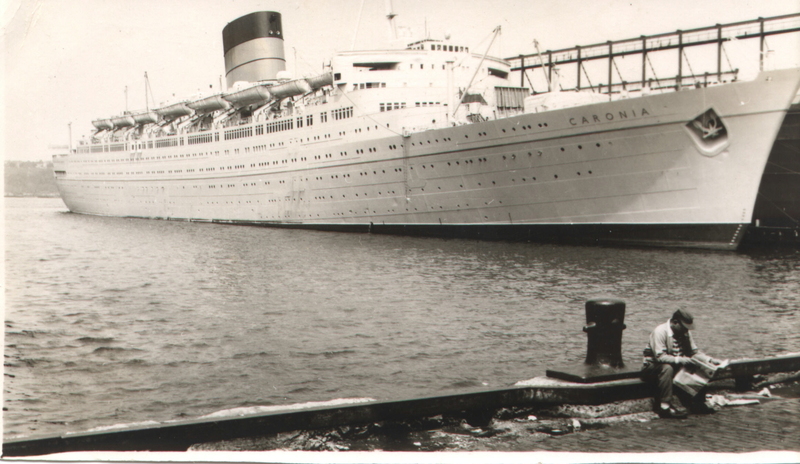 A fine view of Caronia at her New York pier in July of 1964. Judging from her deep draft, she must be nearly ready to depart. 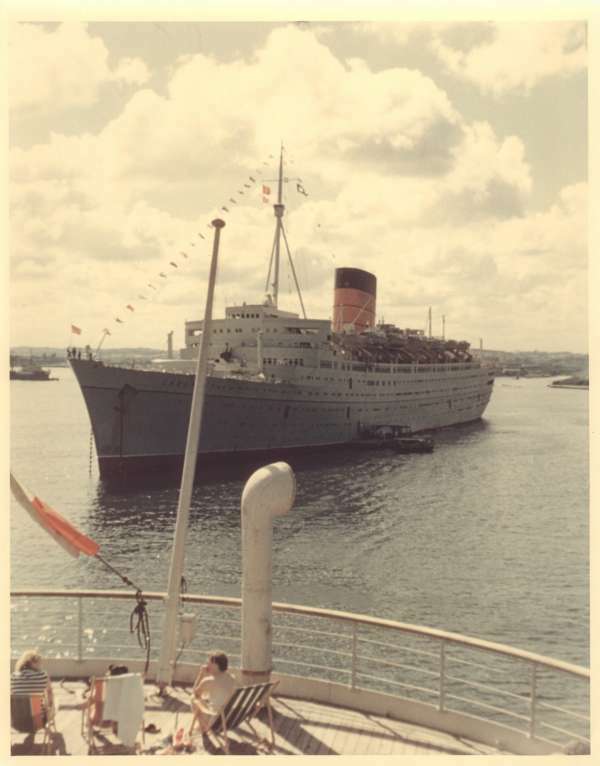 A beautiful view of one of Cunard’s finest ships, showing her graceful yachtlike lines, as she departed for another voyage to follow the sun. New York City, October, 1958. Note the “cut-in” in her stem bar at the waterline. This was the result of a quick fix after an unfortunate collision in Yokohama, Japan, in 19xx, between Caronia and an unyielding lighthouse! 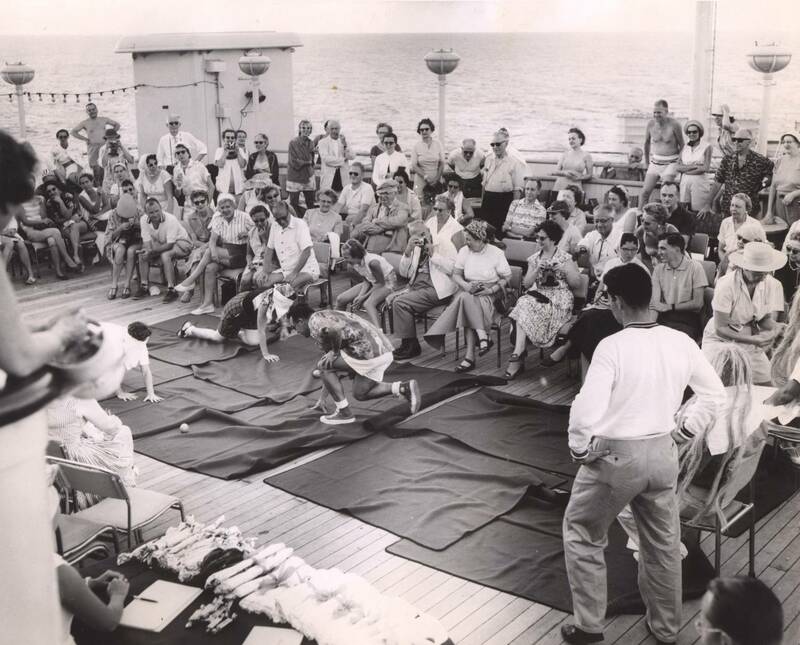 One of the most popular events on any Caronia cruise -- the Crossing the Line ceremony before King Neptune and his court circa 1958. After dinner in the Sandringham restaurant. Note the wonderful inlaid linoleum flooring and the chair tie downs to keep them from moving to far in rough weather! 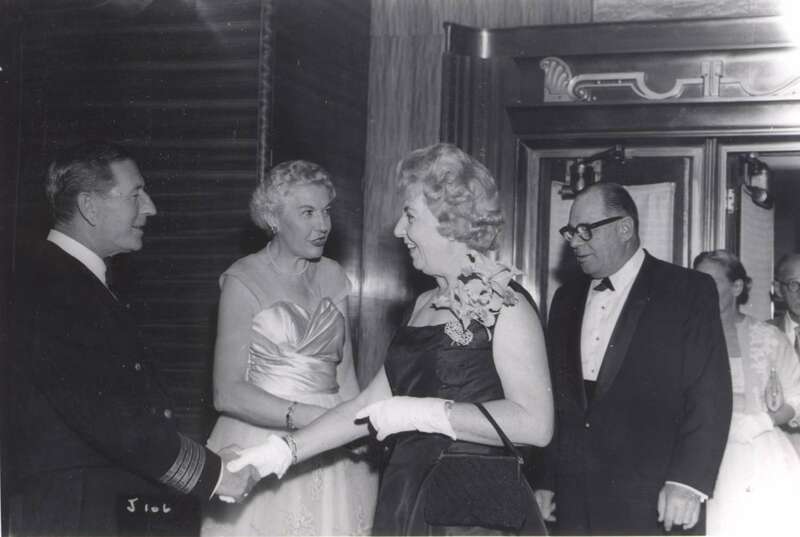 One of the highlights of any trip for most passengers – meeting the master at the captain’s cocktail party. An extremely detailed cut-away of Caronia by G.H. Davies, dating from 1949. 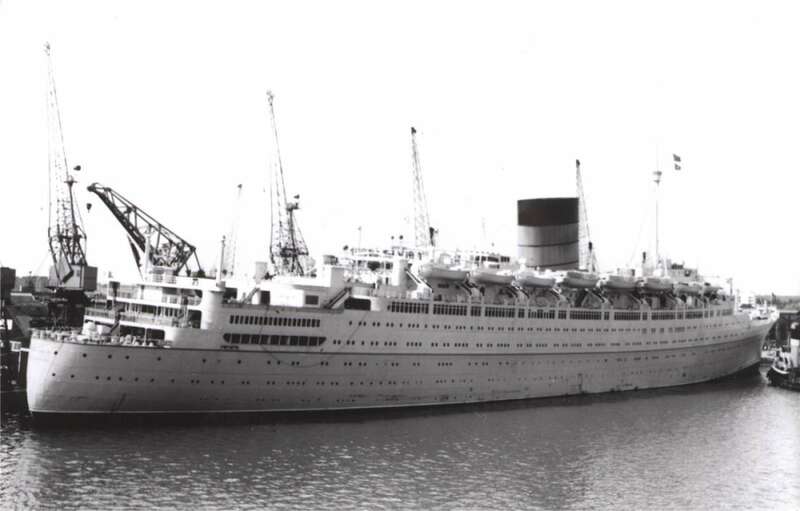 A late photo of her taken in port clearly showing her triple-tone paint scheme. 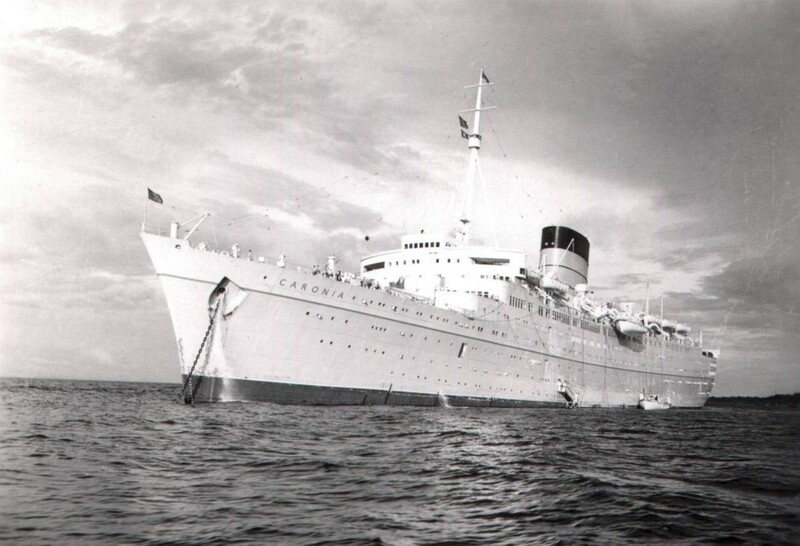 An exquisite image of Caronia taken near the end of her service with Cunard. 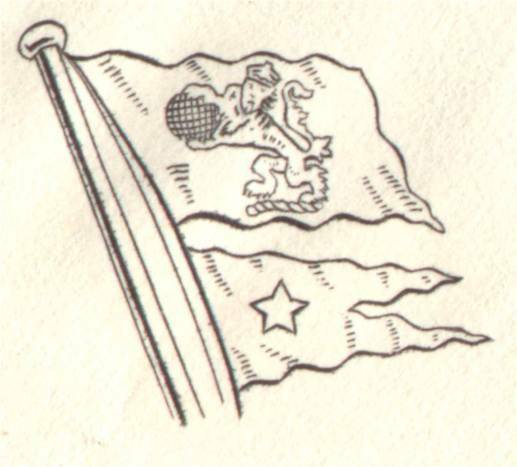 Note that she is still flying the double house flags. 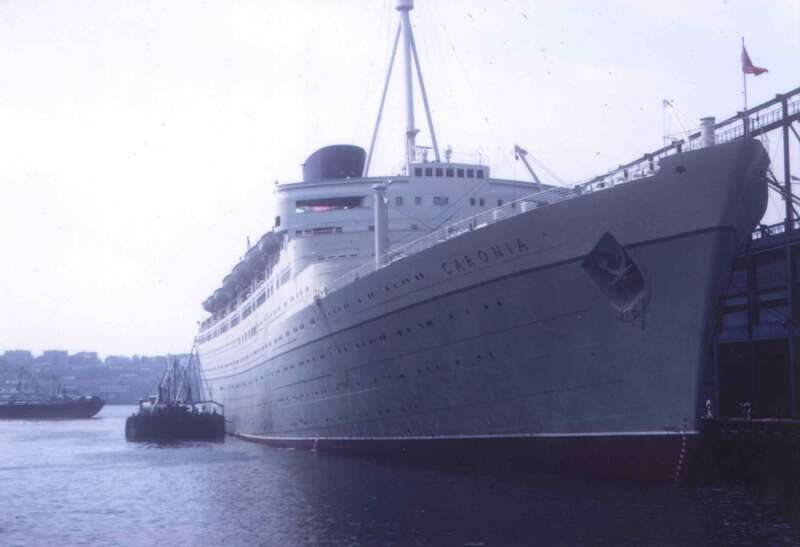 Sitting at her pier in New York, Caronia is show here taking on cargo for her next voyage. Note the open cargo hatch on the forecastle. The damage to her forefoot caused by her collision with the lighthouse in Yokohama is also very evident in this photo. 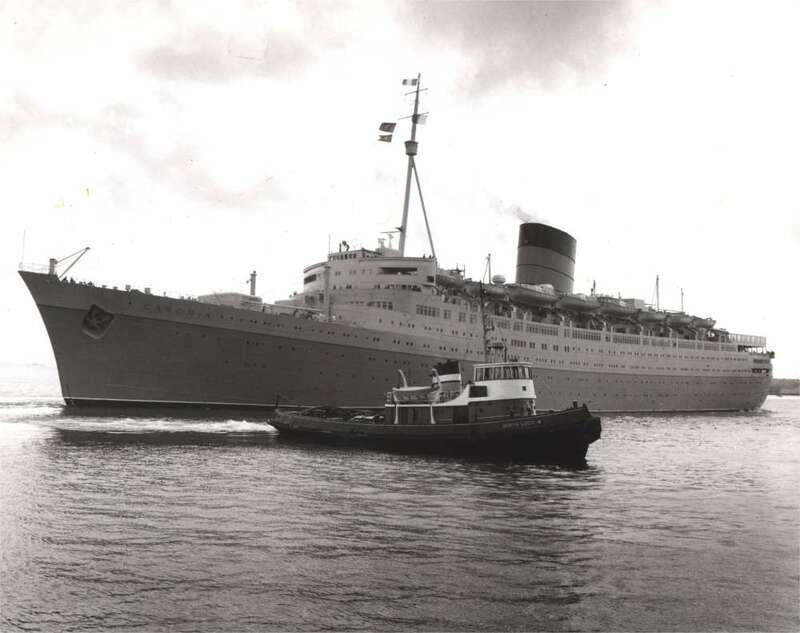 The former Cunard beauty wallowing in a heavy sea after running ashore on Guam. Within 24 hours, she would be hard aground and broken into three pieces. Copyright 2002 - 2004 by Brian Hawley. Special thanks to Eric Sauder. All materials published here are from the Brian Hawley collection unless otherwise noted. This site and its related contents are published strictly for educational purposes. Do not steal the images from this site for your own web projects! If you ask nicely I will be glad to share images as long as proper credit is given.